Gail and I just got back from a week in Goa. Today I'll just give a quick overview of what we did and go into more detail over the next week or so. We did a five day cooking course with Judy Cardoza of On The Menu. The 5-day course consisted of a day of North Indian, a day of South Indian, and a day of Goan cooking. We also visited the market and a spice plantation. 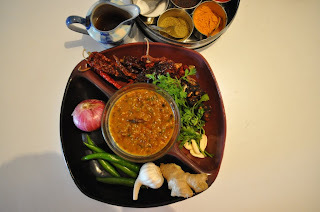 We learned so much about Indian cooking techniques, spices and lots of interesting anecdotes. Gail and I both plan to write some articles about the cooking experience and so we asked to speak to the chef at the hotel. Chef Rego spent two hours talking about his passion - cooking of course! - and he is such a humble and nice man. Saturday was a day to shop hard and bargain hard! We shopped from ten in the morning til ten at night: at the hotel, on the street and at the night market. We ended the night back at the hotel restaurant where an Indian group was celebrating a 40th wedding anniversary. The Bollywood tunes were playing and they were dancing. We had a great time watching them and then even funner when they made us get up and join them. Yes I just love that banner photo. I was thinking of all the sacrifices their parents must make to get them into uniforms and off to school every day. And the children seem so cheerful and positive. The future of India is in good hands. Very nice and interesting blog. 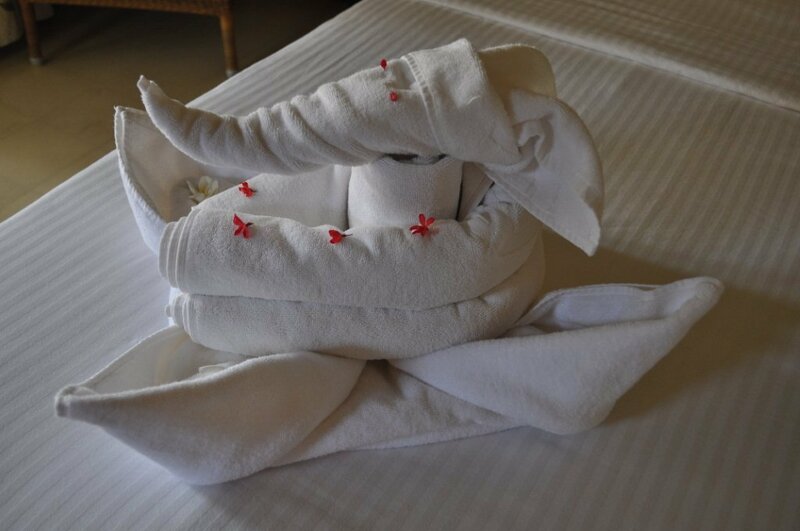 The towel ganesha is awesome. Hope u had a great experience in Goa. We booked through On the Go Tours - the course is "India on the Menu." All the current prices will be on their website - we booked only the course through them and booked the hotel ourselves. Enjoy! Hope you enjoyed the cooking very much and it would be amongst the most memorable experiences. Also the friendly behavior offered by the Luxury hotels Goa pleased you a lot. kabini is really a beautiful place for all wind life lover , thanks for sharing amazing experience with us .